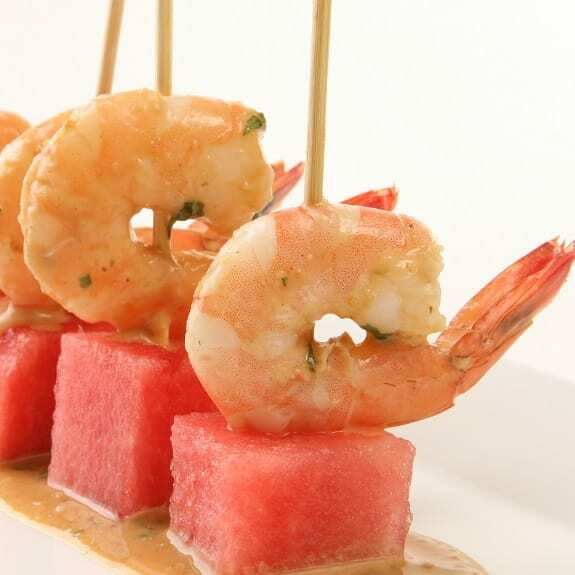 Watermelon and shrimp appetizer.Very easy appetizer recipe. In a small mixing bowl,combine peanut butter and rice vinegar. Whisk until completely blended. 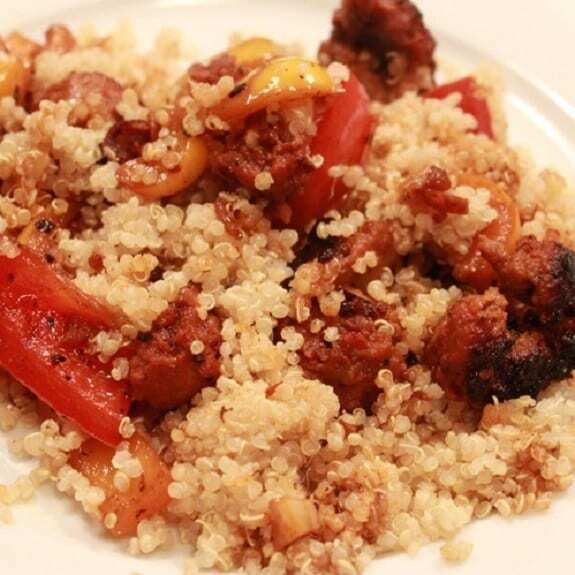 Stir in minced garlic,ginger and soy sauce. Season with salt and black pepper to taste. Pour sauce over the shrimp,reserving some for dipping. Refrigerate shrimp with marinade for 1 hour. Remove marinated shrimp from refrigerator. Alternate marinated shrimp,watermelon and basil on 8 bamboo skewers.